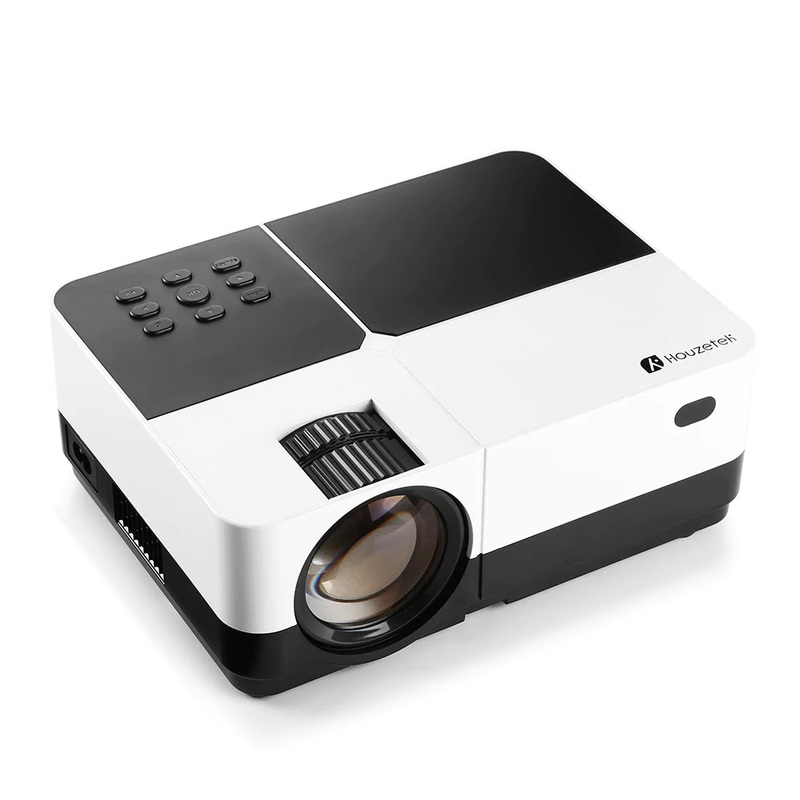 The Houzetek H2 Portable Mini Projector comes in an all black and white color which makes it looks glossy and classic. 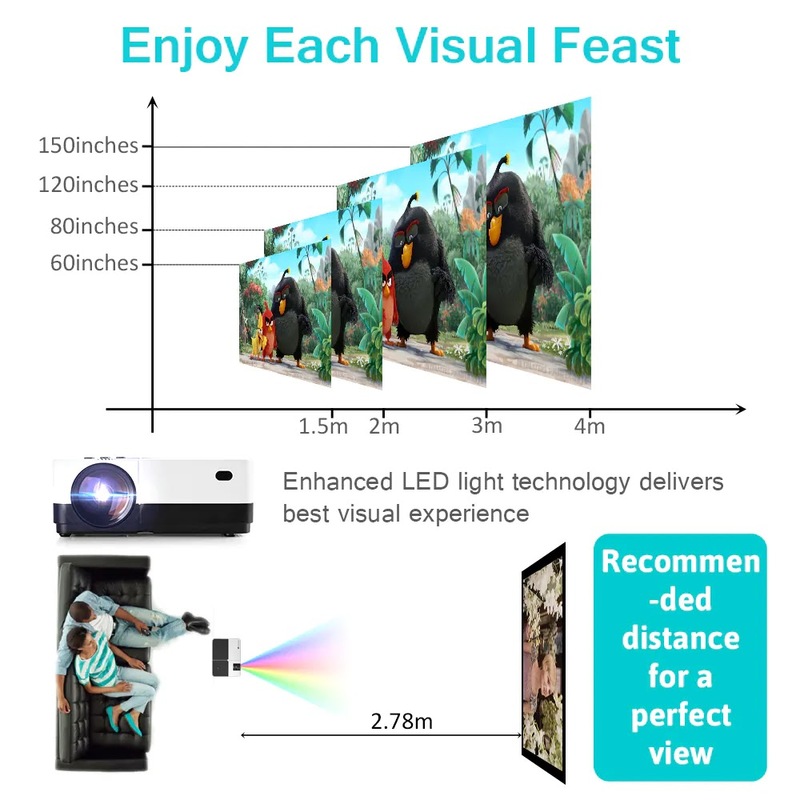 As the name implies “Portable”, It comes with a dimension of 22.00 x 16.80 x 8.00 cm and weighs(1.32kg) making it very portable and weigh far lesser than other projectors of its kind. With this size and weight, it would be very easy to carry the projector anywhere you are having a function, be it seminars, church program, party etc. 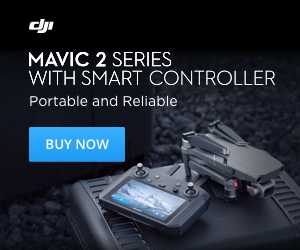 It comes in an all white and black color, giving it a classic and astonishing look. The buttons to control the projector is located on top of the projector, having about 9 buttons which ensure that you are fully in control of the device. 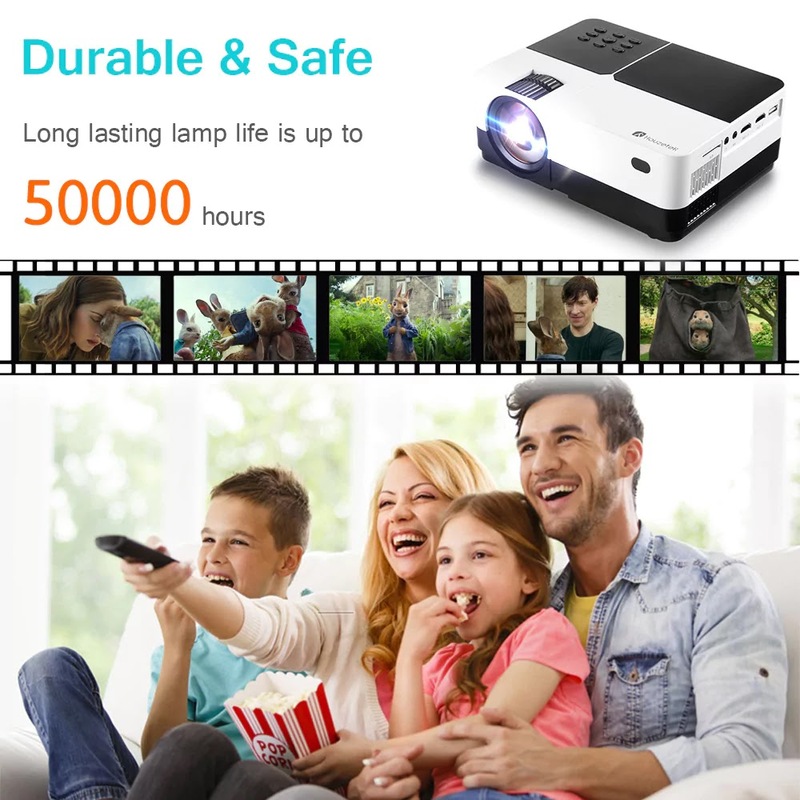 The Houzetek H2 Mini Projector with a whopping 2500 lumens is designed for outdoor entertainment and home cinema, which is strong enough for a very large environment requirement and would offer you a very good viewing experience. 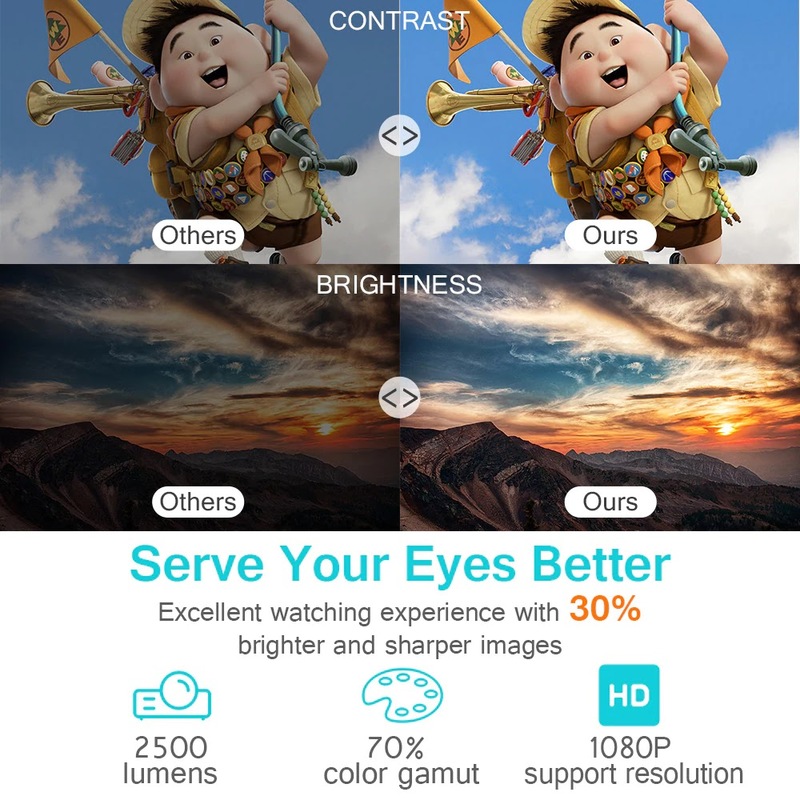 It adopts LED technology to achieve high fidelity image and a clear bright vivid picture. Its high-precision, convenient, efficient and accurate electronic focus means that no detail is left out during the course of usage. With an aspect ratio of 16: 9 / 4 : 3, a contrast ratio of 1000: 1 and resolution max of 1920 x 1080. Houzetek coffers a stunning projection size of 30 – 150 inch from a distance of 1-4M. 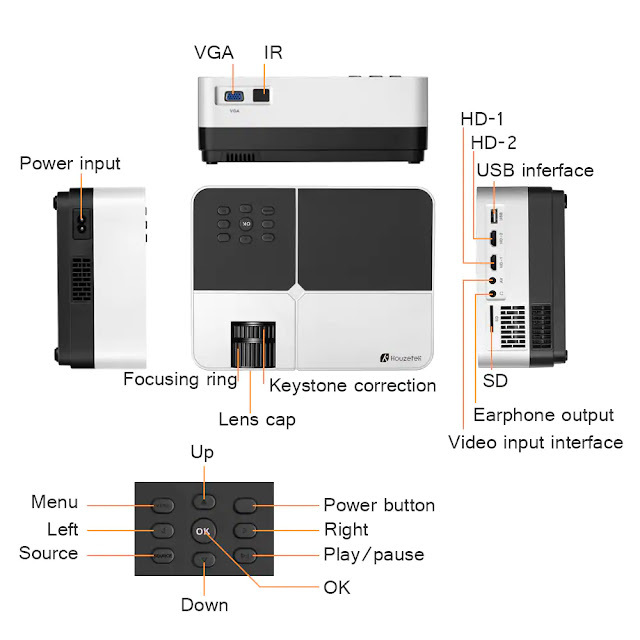 The Houzetek H2 Mini Projector is compatible with TV box, AmazonFiree TV stick, SD card, USB flash drive, PCs, laptops, tablets, etc.It also comes with a remote control to make navigation easy. It also comes with two Loudspeaker 3 W loud inbuilt Loudspeaker. Finally, the Houzetek H2 Mini Projector delivers 50000 hours of entertainment. It means that the lamp does not have to be replaced for more than 10 years even if the projector is used 8 hours every day. The Houzetek H2 Portable can be purchased at Gearbest for €93 ($106.93) including shipping.